Our clicks appear to be worth money not merely to the mad-men of today, but to the digital overloads that increasingly control the internet. Due to Google popularity and value, it has gained a great deal of control over the surface layers of the internet and in doing so has gained control over a portion of human consciousness. Human consciousness that is very valuable… It can be manipulated and monetized. As with all media, the messages that you see and hear are dictated by the ownership. Once it was thought that no one owned the internet or the web, that it was a free and open space for discourse and exchange. This has not been true for sometime; it really was never true, but early on it was at least less monitored and shaped. 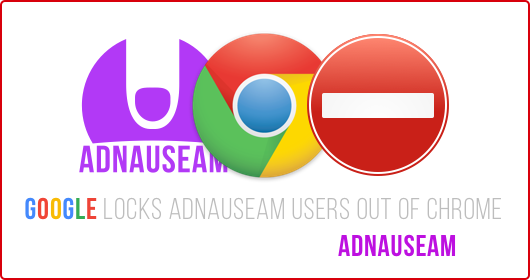 The browser add-on AdNauseam is “designed to obfuscate browsing data and protect users from tracking by advertising networks. At the same time, AdNauseam serves as a means of amplifying users’ discontent with advertising networks that disregard privacy and facilitate bulk surveillance agendas.” We should not be tracked unless we have agreed to be tracked and not in small print. AdNauseam – Clicking Ads So You Don't Have To from mushon on Vimeo.